There are two options for paper orders. Copy Services stocks and sells paper for immediate needs. 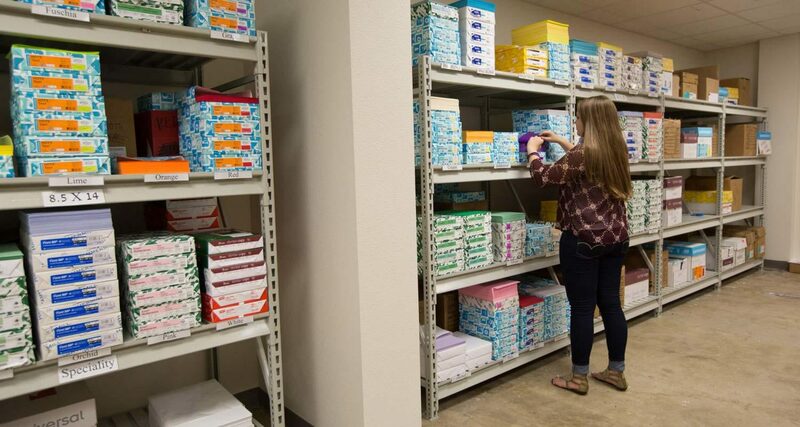 Paper must be picked up at the CruCard and Copy Services Office at the Mabee Student Success Center. You can order paper using your Perry OP online login and placing your order through their website. Your order will be delivered right to your desk, and in most cases the next day. Paper can be ordered by the ream or the case, whichever your prefer. There is no additional charge for this service.